A mass grave with the bodies of 23 Syrian soldiers has been discovered at a school in eastern Aleppo while the army combs neighborhoods previously held by opposition forces, according to Syria envoy to the UN. “I would like to inform you that after the liberation of the eastern areas of Aleppo, Syrian authorities have found 23 bodies in Muhaddassa school, located in the of Es-Sukkar area of Aleppo. 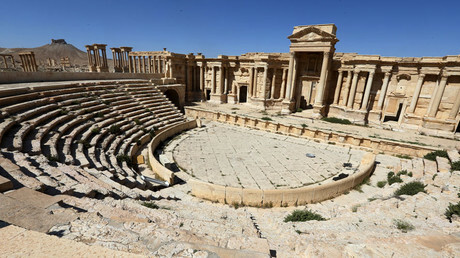 They were servicemen of the Syrian Army,” permanent representative of Syria to the UN Munzer Munzer stated in a letter addressed to the UN secretary-general and the Security Council, as cited by RIA Novosti. 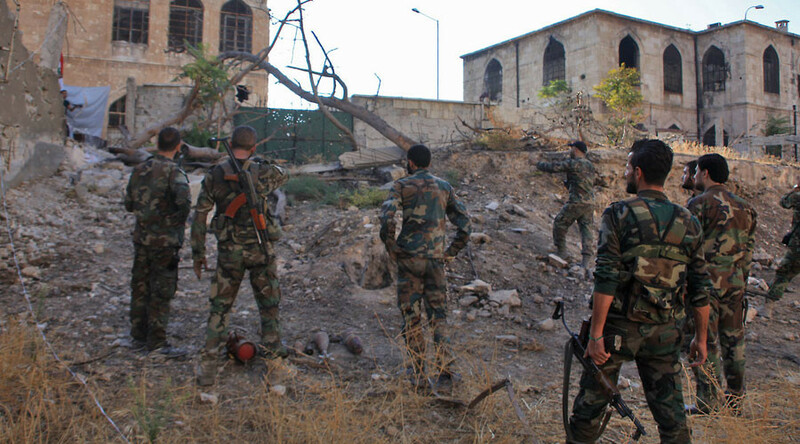 According to the diplomat, the Syrian authorities were able to identify 20 soldiers. The school is known to have been used by Syrian opposition forces as their base. “The school was used as headquarters of the Levant Front [or al-Sham Front] armed group,” or its Dawn of Islam Brigade, which the coalition forces consider a “moderate opposition” force. Munzer said that another 37 corpses had recently been found in the same area of the liberated city. The identification procedures are currently taking place, yet the process is difficult as the bodies had been brutally mutilated. “Most of those killed had their throats cut. Others were shot in the head, with their faces disfigured, some bodies have signs of torture,” Munzer explained. 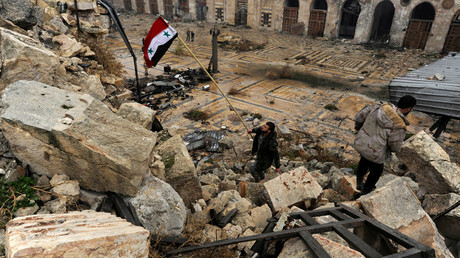 The Syrian city of Aleppo was completely freed from militants in December by Syrian Army, supported by Russian air and naval forces. It is currently under the control of Syrian government forces, which are currently busy clearing the streets and houses of explosive devices left by militants along with demining teams from Russia. The city is heavily mined, which prompted Moscow to call on the United Nations and other international organizations to provide the Russian military with assistance in Aleppo. “According to the estimates of Russia's military, the scale of mining in Aleppo is very large. Russia's International Mine Action Center is working practically round-the-clock. Considering importance of the demining task for implementation of humanitarian programs it is necessary to provide international assistance to Russia both on bilateral and multilateral basis,” a diplomatic source told Sputnik on Thursday. A nationwide Syrian ceasefire – brokered by Moscow and Ankara and endorsed by the UN Security Council in late December – is largely being observed, with fewer violations, the Russian Defense Ministry reported earlier this week. The next step is the upcoming peace talks scheduled for next week in the Kazakh capital, Astana, where the official Syrian government is scheduled to meet with a delegation of Syrian opposition groups to discuss the future of the Middle Eastern state. Syrian President Bashar Assad on Thursday said the peace talks in Astana will focus on achieving a ceasefire and allowing rebel groups to reach “reconciliation” deals with the government. “So far, we believe that Astana will be about talks with terrorist groups over a ceasefire and allowing them to reach reconciliation deals,” Assad said in an interview with Japanese media outlet TBS, expressing hope the conference in Astana would be a platform to discuss “everything” with opposition groups.